SEC12.com is a fan site dedicated to publishing unique SEC Football facts and features online. We are not affiliated with the Southeastern Conference, however we’re huge fans. 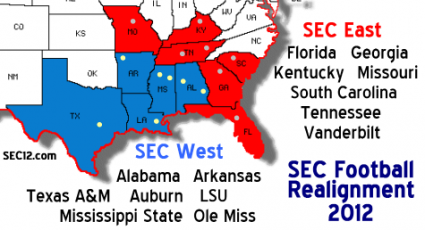 The official website of the Southeastern Conference football is SECSports.com. The SEC Network is live. 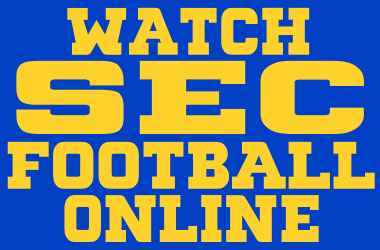 Watch exclusive SEC sports coverage online twenty-four hours a day. Hey, do you think that you know all about SEC Football? Go ahead and see what your grade is on the SEC Football Stadium Quiz. Congratulations to the 2018 SEC Football Champions the Alabama Crimson Tide! The Alabama Crimson Tide also represented the SEC in the College Football Playoff. Congratulations goes out to the Alabama Crimson Tide for a terrific season. The 2019 SEC Football Championship Game will be held at the new Falcons Stadium on December 7th in Atlanta. It’s very hard to get tickets to the game, but the SEC offers fans a chance to get on the waiting list for the opportunity to buy tickets in case there are extras. Sign up for this year’s SEC Football Championship Game Waiting List. The waiting list opens every year from May 1 through October 1. 2016 marked the final year for the SEC Championship Game to be played at the Georgia Dome. In 2017, the SEC Championship Game moved to the brand new Falcons Stadium in Atlanta. The SEC Football Champion gets the automatic bid to play in the Sugar Bowl at the Superdome in New Orleans. If the SEC Football Champion is selected to play in a College Football Semifinal Playoff Game in a year that it is not played in New Orleans, the Sugar Bowl selects the SEC runner-up. The College Football Playoff Games decide who will play for the College Football National Championship. The College Football Playoff Games are held at alternating New Year’s Eve and New Year’s Day Bowl Games. 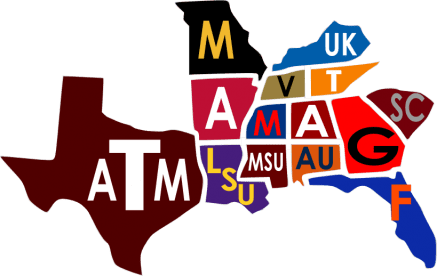 Under the current divisional format, each SEC school plays a total of eight SEC conference games, consisting of the six other teams in its division, one school from the other division on a rotating basis, and one school that is its cross divisional rival. The SEC instituted this policy to keep some of the long standing football rivalries intact.